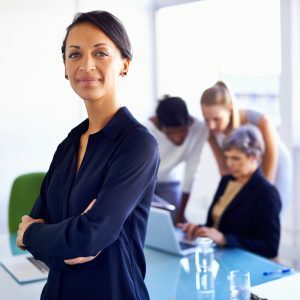 Executive assistants work with high-level executives at companies, government agencies, and non-profits (including educational institutions) to provide top-level management support and assistance. More elite and responsible than an entry-level assistant or secretary, an executive assistant is trusted with high level representation, program monitoring, effective but diplomatic communication and execution of sensitive and complex duties. The Executive Assistance Series is designed for working professionals experienced in secretarial and/or organization support duties who have the poise and potential to improve their organizational, people, and presentation skills to well represent senior managers, department heads, and business owners. Additionally, this program will help any individual seriously considering a career or career transition in/into customer relations, investor relations, group or department supervision, public relations, human relations (HR), and event planning among other career paths. According to the BLS, California and, more specifically, Los Angeles County, are among the highest U.S. areas for employment in this occupation and the occupation is one of the higher growth areas for future employment. The UCLA Extension program provides instruction, “hands-on” practice and exercises, course materials, instructor feedback, numerous case examples, best practices and proven techniques to significantly improve organizational, communication, planning, analysis, and presentation skills. Key team-building, collaboration, and project management skill development is included in this new certificate.